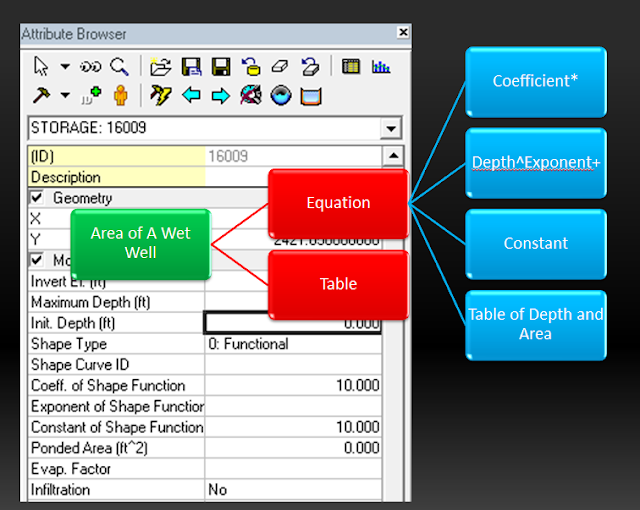 Figure 1 shows how to use the various constants, coefficients and exponents in the Storage or Wet Well data of H2OMAP SWMM. If you have a Wet Well or Storage Diameter you should convert the Wet Well diameters into an Area with the units of either square feet or square meters. The computed area will then be a constant or coefficient in the Attribute Browser. You would only use the exponent or a table of depth and area if the Wet Well area varies with depth.